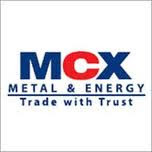 MCX has fixed the price of its initial public offering at the upper end of the band at Rs 1,032 a share. Drawing a huge investor response, the IPO was over-subscribed around 55 times attracting bids of about Rs 36,000 crore. The offer price is fixed at Rs 1,032 per equity share of face value of Rs 10 each. The offer price is 103.2 times of the face value. Fearing supply cut from Iran Brent crude rallied past $120 mark per barrel in the international market. The surge in oil prices will adversely affect the emerging economies like India. Stock market reaction will be known tomorrow since the markets in India are closed today. The net buying by FIIs, today, has come down drastically compared to earlier trading days. The rally in the Indian stock market since Jan 2012 is fueled by global liquidity and dollar inflows. In just 45 days Sensex and NIFTY has moved by more than 15 %, than what it was as on 31-12-11. Fundamentally nothing has changed much.Winding up of long positions may start from tomorrow. ISSUE OPENS ON 09-03-12 AND CLOSES ON 12-03-12. Chennai based Olympic Cards is planning to raise Rs 25cr through IPO to fund its expansion programme. Ashika Capital is the sole book-running lead manager for the issue. In the past Ashika has managed Vaswani, Sudar Garments and VMS Industries. Ashika is notorious for introducing poor quality IPOs. Olympic Cards is in to manufacturing and trading of wedding and greeting cards, business cards, envelopes, letterheads, calendars, notebooks and account books. It also trades in printing inks. Its manufacturing facility is located in Chennai with an installed capacity of 145 mn pieces. Manufacturing sales contribute 82% to 86% to total revenues; trading sales make up the rest. The IPO carries grade 1, awarded by CRISIL. The grade assigned to Olympic Cards reflects its presence in an industry which is highly fragmented, with low entry barriers. This weakens the bargaining power of players. Even though Olympic Cards is a leading player in South India, low product differentiation does not really give any player an edge. The current concentration will adversely affect the company’s long-term prospects. The grade factors in the company’s exposure to the risk of brand dilution. It shares the ‘Olympic’ brand with the promoter’s relatives who have a similar business. Centralized management, and relatively weak internal processes and management information systems have also influenced the grade. Further, the independent directors’ have limited role in the management. PRICE BAND Rs 860 to Rs 1,032. The objects of the Offer are to achieve the benefits of listing on the exchanges and to carry out the sale. The listing of the Equity Shares will enhance the brand name and provide liquidity to the existing shareholders. The Company will not receive any proceeds from the Offer. It is promoted by FTIL with a pre-IPO stake of 31.18%. FTIL is a Software developer and a technical service provider of automated electronic solutions for foreign exchange, commodities and equities. MCX’s leadership position in the Indian commodity futures market over the past four years, with over 80% share of the overall traded turnover in FY11. It is a leader in the trading of bullion, crude oil, copper and natural gas. The total value of commodity futures contracts traded on the Exchange in the nine months ended December 31, 2011 and the fiscals 2011, 2010 and 2009 was Rs 119,806.89 billion, Rs 98,415.03 billion, Rs 63,933.03 billion and Rs 45,880.95 billion, respectively. According to data maintained by the FMC, these amounts represented 87.3%, 82.4%, 82.3% and 87.4% of the Indian commodity futures industry in terms of the value of commodity futures contracts traded during the same periods. As of December 31, 2011, MCX, offered trading in 49 commodity futures based on contract specifications, from a diverse range of classes including bullion, ferrous and non-ferrous metals, energy and agriculture. The same underlying physical asset traded under different contract specifications is regarded as a separate commodity future. MCX as has around 2,200 members on the Exchange‘s platform, with over 296,000 terminals. MCX is the largest silver exchange, the second largest gold, copper and natural gas exchange and the third largest crude oil exchange, in terms of the number of commodity futures contracts traded for each of these commodities. The offer for sale of 64.27 lac shares of Rs 10 each constitutes 12.6% of the paid up capital of Rs 50.99 CR. MCX, in the price band of Rs 860- 1032 is valued around 17 times its FY12 earnings and 5 times its NAV. This compares well with its counterparts, the US based CME and ICE. Shares are being listed only on BSE is a negative factor. The company has had negative cash flow in the previous years. Considering small size of the offer, there will be listing gains. INVEST. CONTRARY OPINION : SENSEX TO GROW IN EXCESS OF 20% IN 2012. We here by republish an article on Sensex movement originally published on Tuesday, December 6, 2011. Leading FIIs including Citi, BofA-Merill Lynch, UBS Securities, Macuarie and Nomura predicts a gloomy picture for Sensex and NIFTY and they expect the bench mark index to fall another 20% from the current level. First Choice IPO differs with their prediction and expects the indices to to grow in excess of 20% in 2012. Global crisis is just a 'blip' says Prof Levitt, the author of the best selling book Freakonomics. And that is not without reason. Economies around the world have grown so much since World War II, unless there is something horrific on the horizon, which he does not see, people will look back these days as nothing more than a 'blip'. There is no doomsday looming on the horizon. It is only the extreme reaction to the markets by the so called biggies, that makes the problem look bigger than it actually is. And if one analyses the earlier prediction made by these FIIs, one can safely conclude that the market is headed in the opposite direction than what these experts think. There could be some slow down in parts of the world, but the India growth story remains in tact. Stay invested in top indices stocks. The prediction has almost come true in just 45 days. IPO ANALYSIS: FACEBOOK INC - STEEP VALUATION, IS IT WORTH INVESTING? The most anticipated tech IPO since Google went public in August 2004, Facebook, the world’s largest social-networking service, is likely to file papers with SEC for its initial public offering (IPO) this week. The expected market valuation of the company is around $100 billion. Facebook is founded by Mark Zuckerberg with his college roommates - Eduardo Saverin, Dustin Moskovitz and Chris Hughes. The Web site's membership was initially limited to Harvard students, but was expanded to other colleges in the Boston area, the Ivy League, and Stanford University. It gradually added support for students at various other universities before opening to high school students, and eventually to anyone aged 13 and over. Most of Facebook's revenue comes from advertising. Microsoft is Facebook's exclusive partner for serving banner advertising, and therefore Facebook serves only advertisements that exist in Microsoft's advertisement inventory. Facebook generally has a lower click through rate (CTR) for advertisements than most major Web sites. According to Business Week.com, banner advertisements on Facebook have generally received one-fifth the number of clicks compared to those on the Web as a whole, although specific comparisons can reveal a much larger disparity. For 2012, Facebook is expected to post $5.78 billion in ad revenue globally. Facebook's reported valuation of $US75 billion to $US100 billion compares with about $US100 billion for McDonald's Corp, $90 billion for Citigroup Inc and Amazon.com Inc and $US75 billion for Bank of America Corp. It would exceed the market cap of $US55 billion for Hewlett-Packard Co, one of the world's largest technology companies by revenue. Both Facebook and Google earn most of their money from advertising and are now competing to gain as much information as possible about their users to help advertisers target niche audiences. Even with Facebook's heady growth rate, Google had ad revenue last year of more than five times what Facebook is expected to get in 2013. Yet it is Google that is mimicking Facebook in building a rival social network called Plus. The IPO funds are intended to be used for its expansion and fend off competition from rivals such as Google and Twitter. Morgan Stanley and Goldman Sachs Group are the lead managers. The targeted amount would slot it among the world's 15 largest IPOs. At the reported price, Facebook's IPO would be the biggest for a US Internet company - topping the debut of one of its main rivals, Google Inc.
FB is grossly over-valued. On a price/sales basis, Facebook would trade at 19.7 — that’s 497 percent higher than Apple at 3.3 and 294 percent above Google’s P/S of 5. Facebook’s P/E of 80 is far higher than Google’s 19 or Apple’s 12.7. This means that Facebook’s stock might not hold up after the first-day IPO pop. FB’s revenues represent a mere 1 percent of the world’s $507 billion in total ad spending and its IPO would not lead to a major change in the trajectory of corporate spend.